I can't help but attribute the long, cold winter to my greater awareness and appreciation for spring. I've often wished to live in a milder, warmer climate, but I do love the seasons and I would never want to take this beauty for granted. It is a gift and I'm so grateful for it, allergens, weeds, rain, and all. 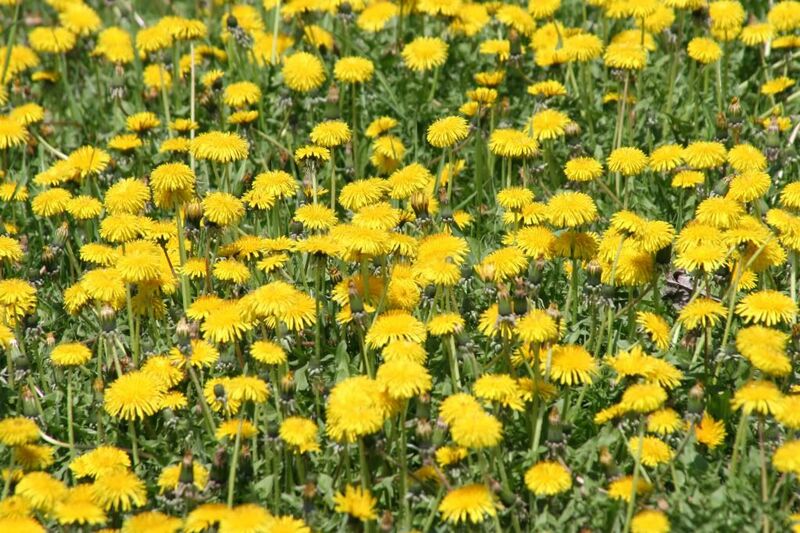 I can't believe how terrible the dandelions are this year! The spring is so wonderful! Yeah, it finally spring! I really like that picutre. I think that dandeloins are beautiful but from a distance. If it is not to late to cast my vote. I liked the weeping willow on April 18th. I just thought that was such a suiting picture for that week here in Iowa. I liked your hair cut. How is it now? Did it pass the test?